A great thrill it is to listen to Allan Weisbecker tell us about the time long ago when he chose the Hawaiian surf over the Viet Nam farce. Then he surfed some more. 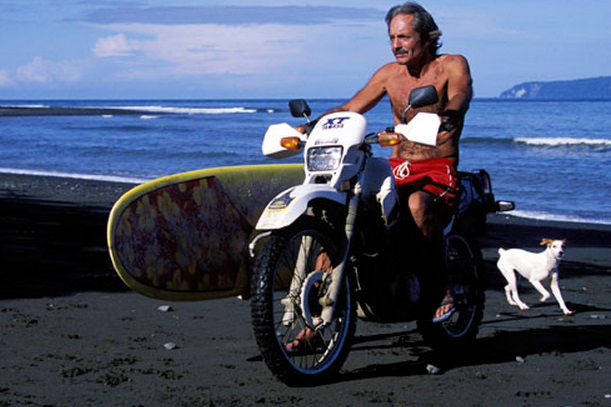 Then, trafficked in drugs - and then, surfed on acid. And always with the companionship of a trusty dog. Allan has had, and is still having, the fascinating life of a nomad. His travels and experiences have lead to the scriptwriting world of network television on several shows, and in particular, Miami Vice. While such a career is a dream for many, Allan took what he needed from it and moved on to write his book, In Search of Captain Zero. A revelation as much as it is fascinating and funny. 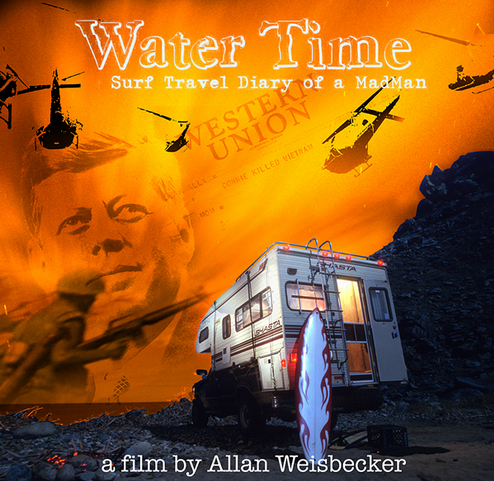 Traveling America and Mexico in a camper with his current canine buddy, Allan learns much by showing clips of disasters such as the JFK assassination and 911. Exposing ordinary people to video evidence of things the government has lied about has a fascinating, if unpredictable result. People are seen to repeatedly, willingly tell themselves the lies they feel they need to believe, just to 'get along'. This journey is revealed in his film, Water Time.